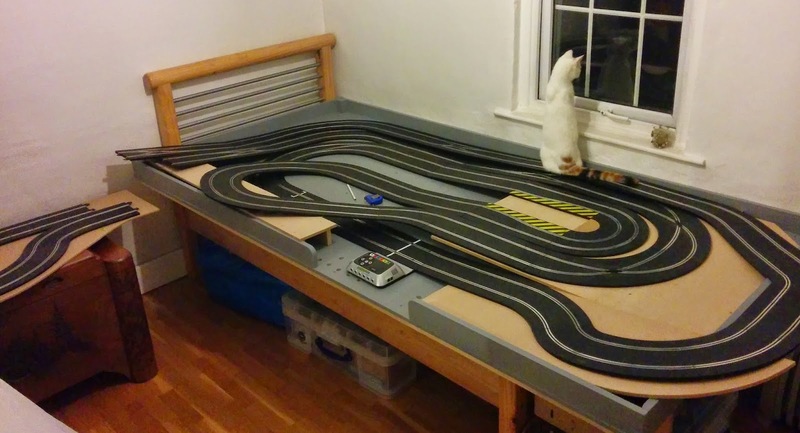 I've been adjusting the track layout to better suit adding scenery. 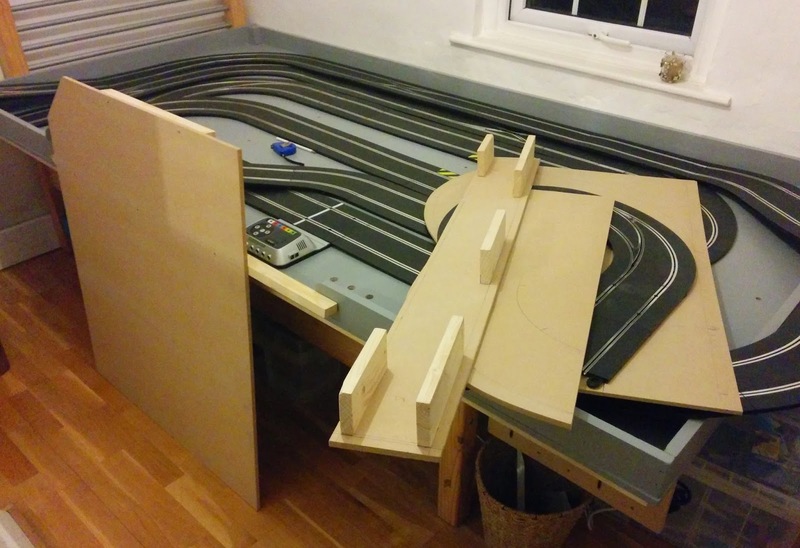 At the same time I've been trying to minimise the hidden areas of the track. Too many overpasses make it difficult to see the cars. 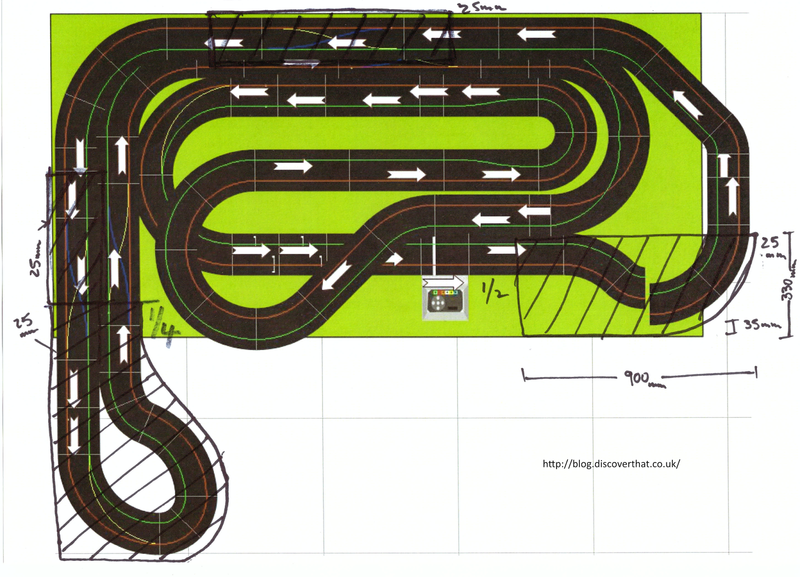 I've come up with a new layout, similar to the previous one but with better lines of sight to most of the track. 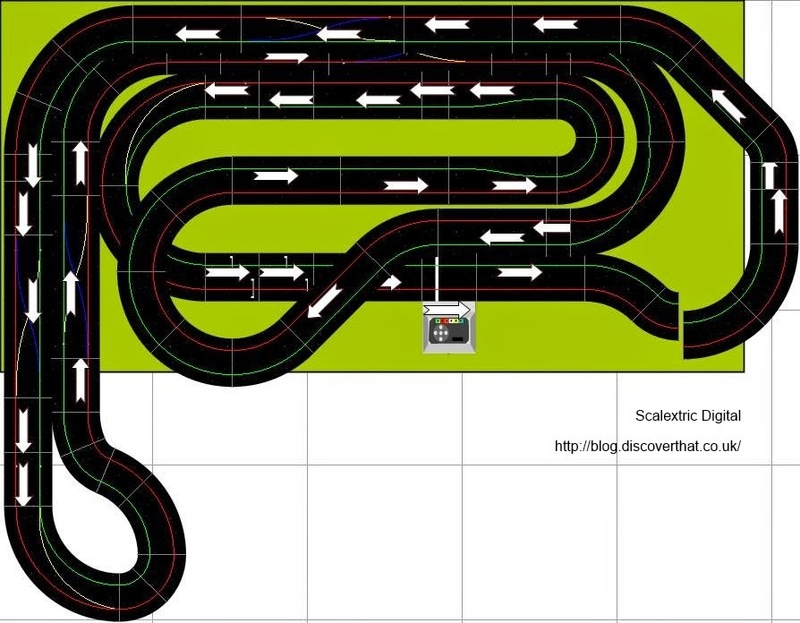 While creating the plans I gave the layout a name. 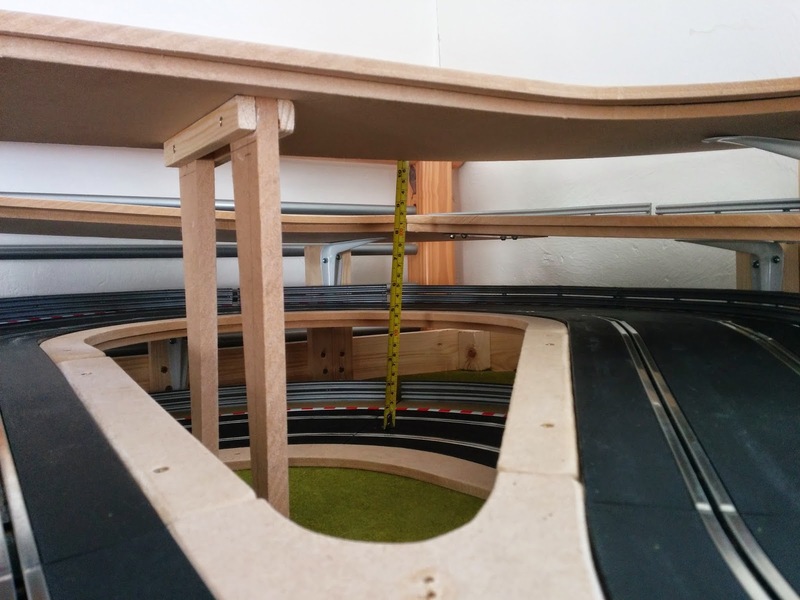 The name came about because the scenery will be that of a hilly quiet countryside and a crazy idea to extend the track in a 'L' shape with a long bridge to cross over from the bed to the top of the chest of drawers. Plus the name rhymes with Rally-cross. 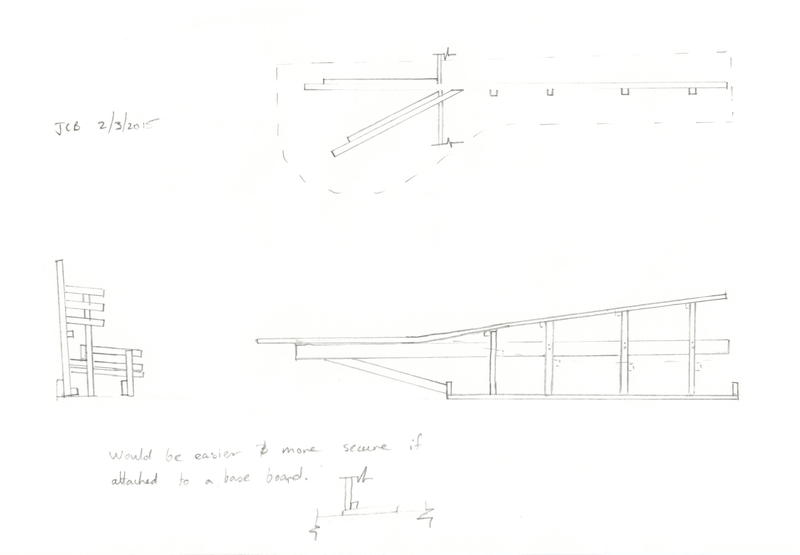 The long bridge idea has been abandoned for the time being but the name has stuck in my mind. 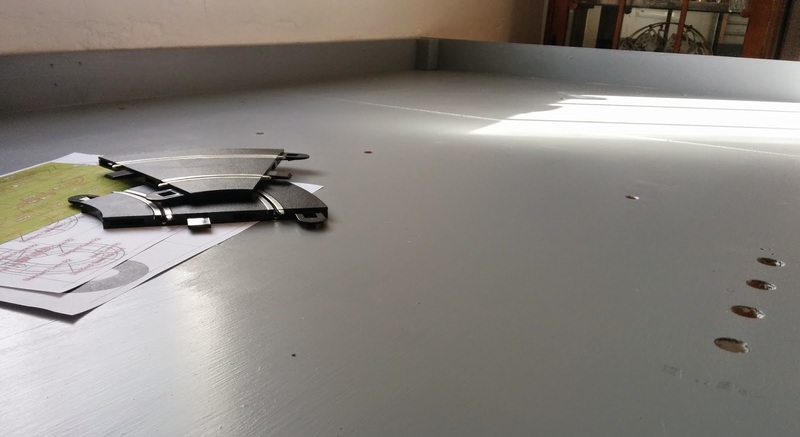 With the new more realistic plan in mind I have started work on the layout and made some of the underlying framework. I finished a few pieces today.